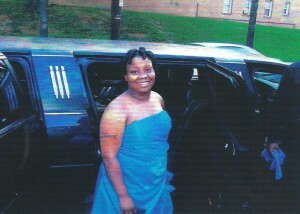 Only Two Defendants Remain in Latisha Frazier Murder Case | Homicide Watch D.C. | Mark every death. Remember every victim. Follow every case. Of the six people arrested on suspicion of killing D.C. teenager Latisha Frazier, the US Attorney’s Office has only two open cases against those suspects remaining. That news follows on the heels of a guilty plea made by one of those co-defendants Friday. In a three week period last winter, Brian Gaither, Johnnie Sweet, Aneka Nelson, Cinthya Proctor, Laurence Hassan, and Lanee Bell were arrested in connection with Frazier’s disappearance. Only two defendants, Gaither and Sweet, remain, a source told Homicide Watch Saturday. So what’s happened to the other four defendants? Hassan pleaded guilty to second-degree murder on Friday. Proctor entered a guilty plea in July. Both are awaiting sentencing and face a maximum penalty of life in prison. Nelson, according to public records, is in custody and awaiting an indictment from the Grand Jury. Court records show that a status hearing on Nov. 18 was set in July for her case. No further entries have been made on her docket. Authorities believe Frazier was the victim of a brutal attack by six people. According to court documents, the 18-year-old was beaten, stomped, bound, taped, gagged, prodded and choked. Her head was covered with a sheet. Tossed into a closet, she finally died. Her body was thrown into a dumpster and hasn’t been found, though it’s believed to be in a landfill. MPD Police Chief Cathy Lanier said a search of the landfill would be too costly and likely dangerous. Plea documents in Proctor’s and Hassan’s cases state that the group of young people was upset because they believed Frazier had stolen $900 from one of them.